Water temperature determines the strength of the cleaning process. However, selecting the appropriate water temperature for a particular fabric is essential. Hot water is the most powerful for cleaning and helps deodorize and disinfect (when used with the proper washing products). Aggressive on textiles, hot water should only be used on heavily soiled or odorous items made from strong fiber like linen, cotton, and durable synthetics such as polyester. 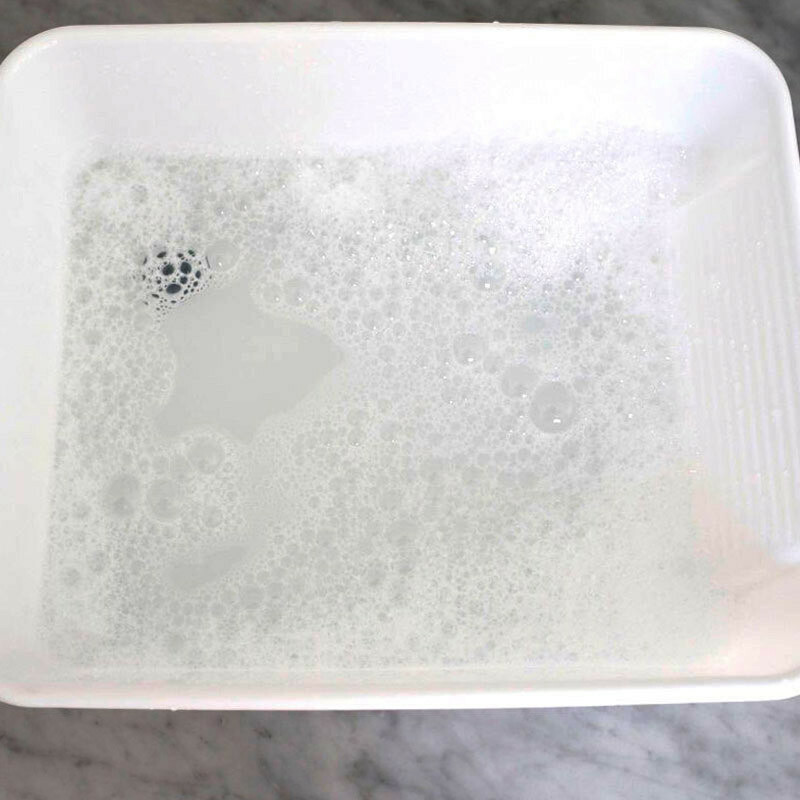 When these items are only moderately or mildly soiled, use warm water. When it comes to water temperature, err on the side of caution (the colder the safer) and default to delicate treatment. Then get more aggressive if necessary. Does hot or cold water shrink clothes? Does cotton shrink in hot water? These are common questions we get from our followers and fans- that's why we created the Understanding Water Temperature guide to help you understand when to use hot, warm, cold and cool water. Does warm water shrink clothes? Both hot and warm water can cause certain items to shrink. Warm water will shrink them more gradually over multiple washes. Use cooler water to be safe and conserve energy. Does hot water cause shrinkage? Both hot and warm water can cause certain items to shrink. However, hot water shrinks items to their maximum shrinkage capacity after one wash, whereas warm water will shrink them more gradually over multiple washes. Does cotton shrink in hot water? Does warm water shrink cotton? Cotton, linen and durable synthetics can be washed in hot water, but it's best to err on the side of caution when it comes to water temperature (the colder the water, the safer). Wash cotton with the Cotton, linen and durable synthetics can be washed in hot water, but it's best to err on the side of caution when it comes to water temperature (the colder the water, the safer). Wash cotton with the Signature Detergent on the normal cycle with hot water to get the deepest clean. To avoid shrinking your cotton items, alternate cold or warm washes with hot washes. For example, washing a favorite white cotton T-shirt once in hot water would have the same result as multiple washings in warm water. Because each fabric has a certain maximum shrinkage capacity, hot and warm water will have the same effect on an item over time. We prefer to use hot water on items at risk for shrinking. To avoid shrinkage, simply use cold water and don’t put the item in the dryer. Does hot water cause colors to fade? No, water temperature is not related to color loss. Fading typically happens as a result of the high heat and tumbling in the dryer. Normal wear and tear can also cause colors to fade over time. Hot water is, in fact, used to treat dinginess (resulting from a coating of fuzz and dirt that makes colors look less vibrant). Washing clothes in hot water helps to remove this buildup and brighten colors. Warm water has good cleaning power without being too aggressive on fabrics. 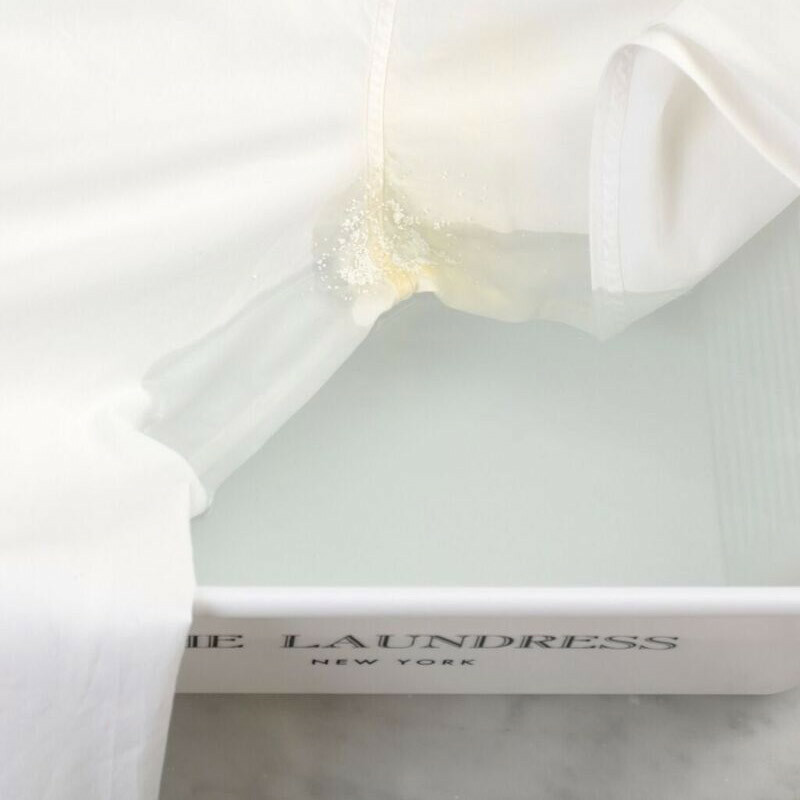 It’s ideal for cotton, linen, and durable synthetics that are somewhat dirty, but not heavily soiled (for heavily soiled items, use hot water). Warm water should also be used to wash fabrics that are dark or colored, as well as delicate synthetics and lingerie. It’s necessary to use cold or tepid (room temperature) water when washing woolens and delicate items. While it’s safe to wash any washable item using cold water, we don’t recommend it since cold water isn’t as effective for cleaning. Note that any kind of bleach alternative or oxygenated bleaching system will not work in cold water as these products are heat activated. Is it OK to wash with cold water to conserve energy? Yes. Laundry that doesn’t need intense cleaning can be washed with warm or cold water. However, cold water is not as effective as warm or hot water when it comes to removing stains, discoloration, and dinginess that have built up over time and wears. After multiple washes using cold water, you may one day notice dull colors, yellow armpits or ring around the collar! While it may save energy to use cold water, if garments wind up looking dingy or stained, you may need to replace them prematurely. For cotton, linen, and durable synthetics, simply alternate cold or warm washes with hot washes. ♦ Handwash small loads rather than using the washing machine. ♦ Pretreat items for the most targeted and effective cleaning rather than washing and rewashing the items to remove stains, odors, or buildup. 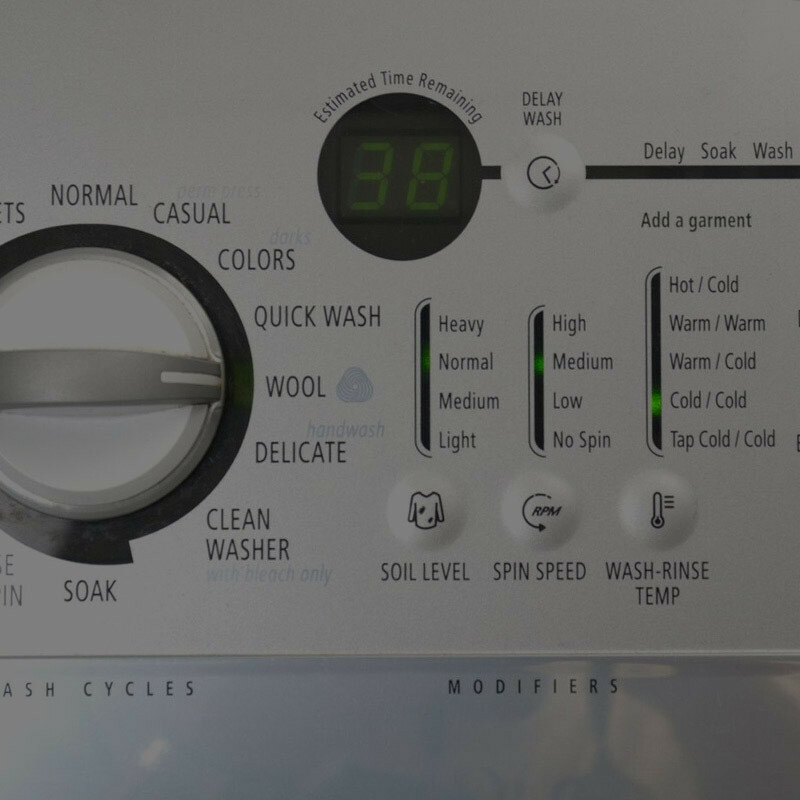 What if my machine automatically picks a water temperature when I set the wash cycle? Some machines automatically select a water temperature based on the cycle setting, whereas other machines require the temperate to be set manually. If you want to use a water temperature that’s different from the one selected by the machine, you can override the setting. Simply follow the manual’s instructions to learn how to do this. 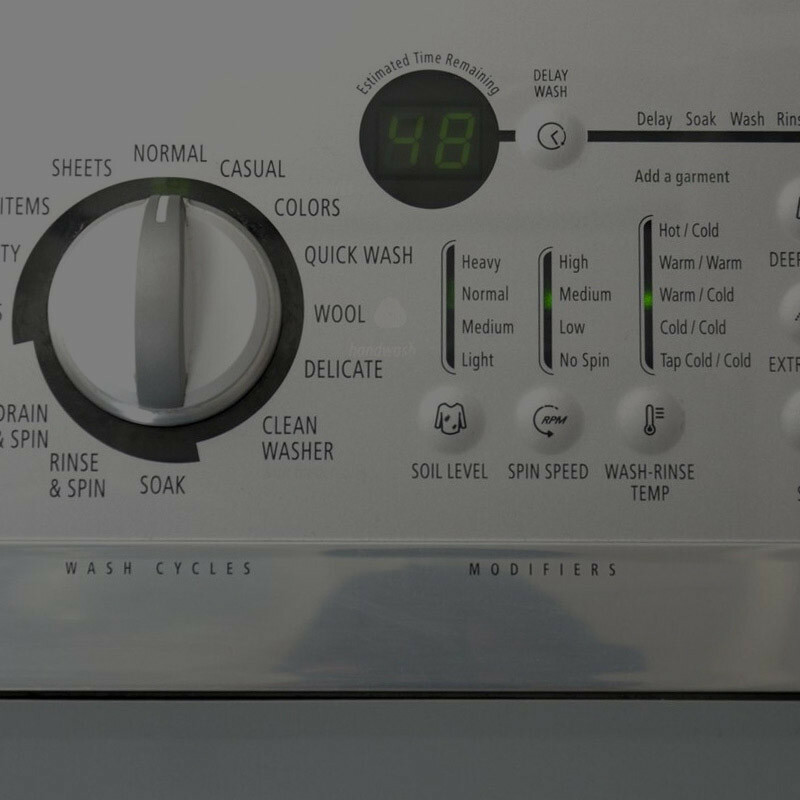 At The Laundress headquarters, when we select the Woolens cycle on our washing machine, warm water is used. Since we always wash our woolens in cold water, we manually override the temperature, selecting cold water instead. We recommend adding a capful of All Purpose Bleach Alternative to each load in the wash cycle to maintain the whiteness and brightness of your cotton clothing and home fabrics.